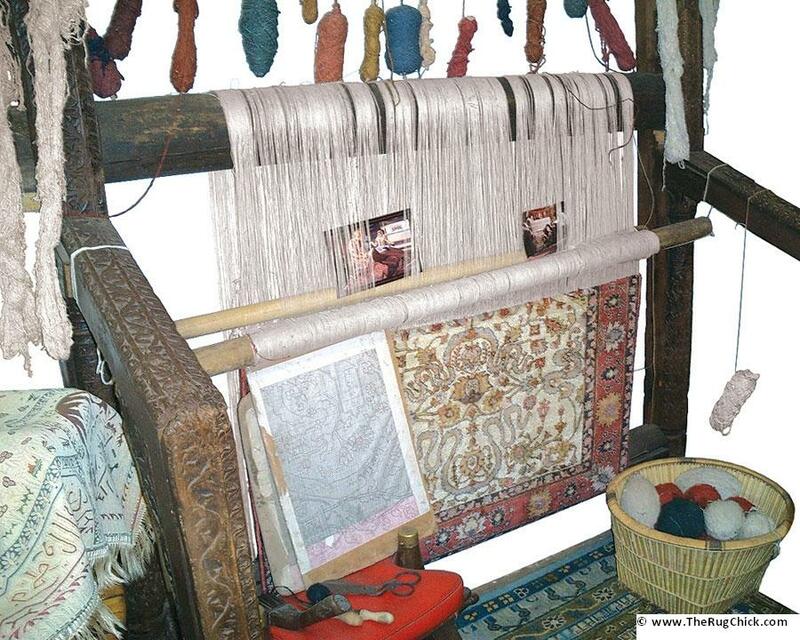 Tea-washed rugs are rugs that have had a brown “tea-like” dye solution applied to the rug to make it appear darker, older, or to hide some underlying flaws (like past dye bleed damage). This makes cleaning tea washed rugs a challenge for rug cleaners, and a problem for any owner of a tea washed rug who ever spills ANYTHING on it. Obviously tea dyed fringe is a telltale sign of a tea washed rug. Grinning open the fibers can show the tea wash application. But to be safe, you need to dye test these rugs to see if they are in fact “tea washed” because these rugs often lose that additional dye in even the most gentle cleaning. If a tea washed rug transfers brown on to a DRY white towel easily when you brush the towel along the fibers, then you WILL lose this brown color during cleaning no matter what you do. Even low-moisture and dry-compound cleaning methods will remove dry that easily crocks onto a dry towel. If a tea washed rug transfers brown to a damp towel, or in a hot water test, then you will lose color during cleaning as well. The cleaner should have put a tarp UNDER the sofa to protect the rug. Very expensive mistake. …and ended up having to buy the client a whole new rug. 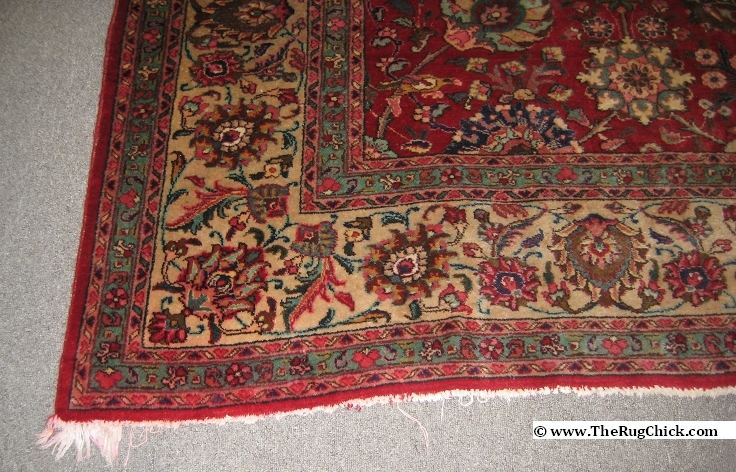 These rugs can be identified easily through proper pre-inspection and dye testing. And then you can choose to turn away the job, or get a release of liability to proceed with the cleaning. This is a TEMPORARY application to the rug in about 95% of the cases. This means it will clean off. Clients who buy these rugs should be told this BEFORE the purchase, so that they know that this rug will not look exactly the same after its first cleaning. It is a manufacturing flaw the buyer should be made aware of. There are a lot of these out in the market right now – so keep an eye out. And if you want to see some other common Rug Disasters to watch out for, here’s my latest report on exactly this topic of the most common Rug Disasters. The strongest skill any professional rug cleaner can develop is the skill of pre-inspection. 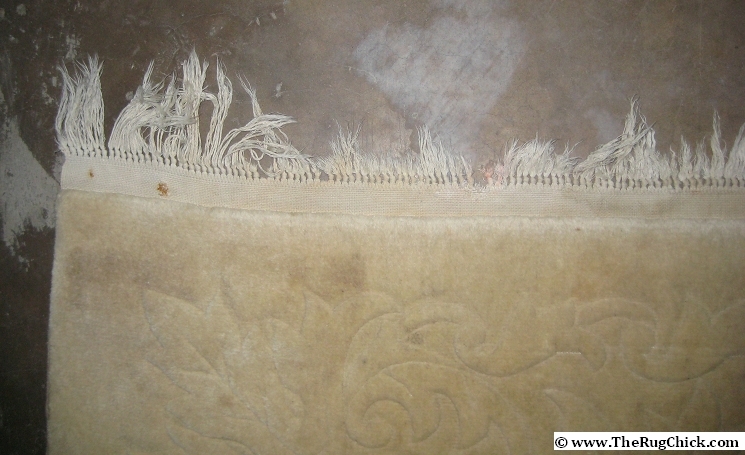 Most “ruined rugs” I am asked to inspect have come from not paying really close attention to the textile they have in their hands. …the less time you will spend AFTER the wash fixing rookie mistakes.